We're creating a website for a hosted event and want it to be very exclusive so they can not forward the invite on. Is this something that you can help us do? 1) We have an Unique ID widget, it increments the value by 1 for each submission. 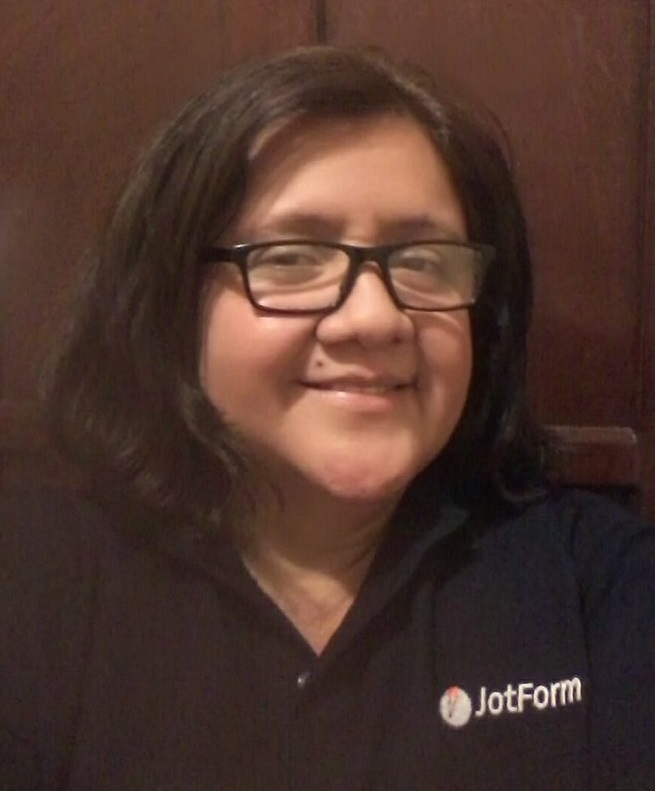 That field is hidden on the form. 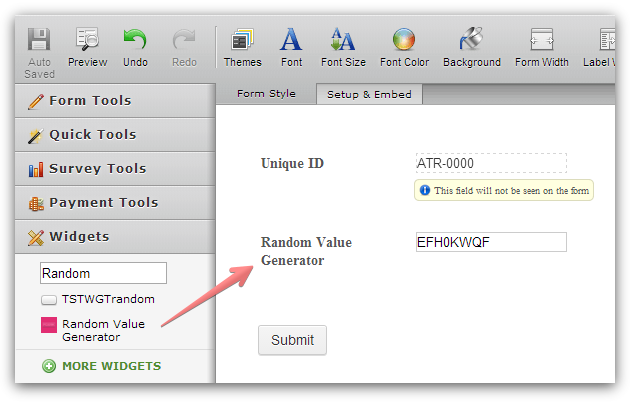 2) A Random Value Generator can be used to generate some random values. We do show that field on the form. If you would like to hide it, we can help with a custom CSS. 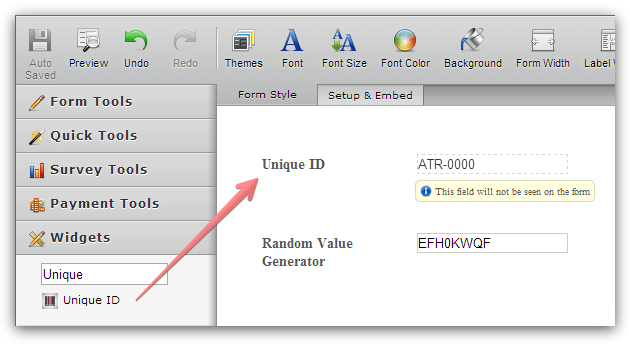 You can also show these generated Unique IDs / Random Values on the form email alerts and thank you pages. Thanks, ideally this unique ID would be emailed to the client so when they fill in the form the ID can't be passed along to a colleague or repeated. How would this work? Is there any way that we can set up a call with our designer and myself to talk through this? We do not offer phone support. However, let me tell you that this can be configured using an autoresponder. So only the person who entered their email will get the autoresponder with the value on on it. 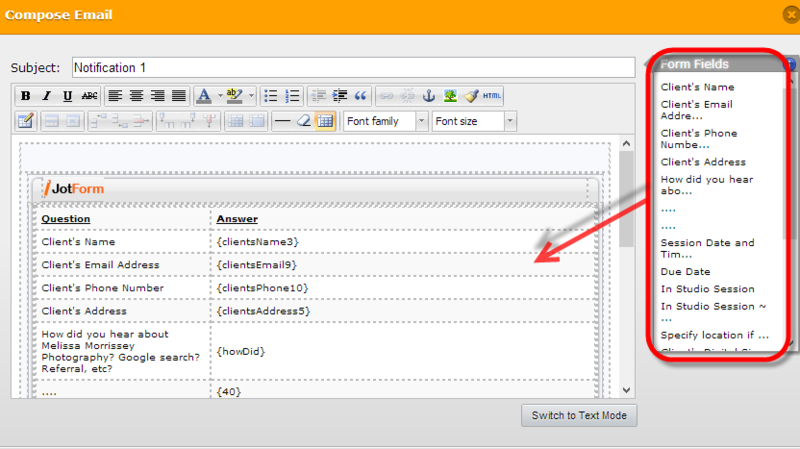 You can also remove the variable tag from the notifier so your collegues will not see it as well. Unique ID's are not repeated. The Ramdom Value Generator widget will also work the same way.